From 2003 until 2011 we reviewed HeroClix figures for readers. There over 725 HeroClix reviews below. We didn’t want these to be lost in “The Internets” forever, so we made a new page for these. If there are any volunteers out there that would like to review new figures for fans, just drop us an email. We’d be happy to bring Clix of the Day back to life! Use the Page Search function on your device to look for individual Clix. 03.05.08 – DeathStroke – DC Crisis – 600th review! 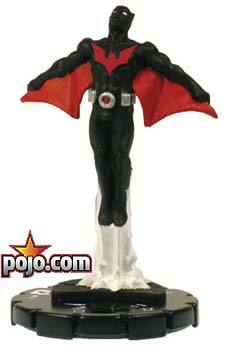 #1 HeroClix figure from 2007! 06.26.07 – Wasp – Avengers / Ultimates – Twofer Tuesday!